With the sunshine, air conditioning, and trips to the pool, it’s hard to start thinking about Christmas already. 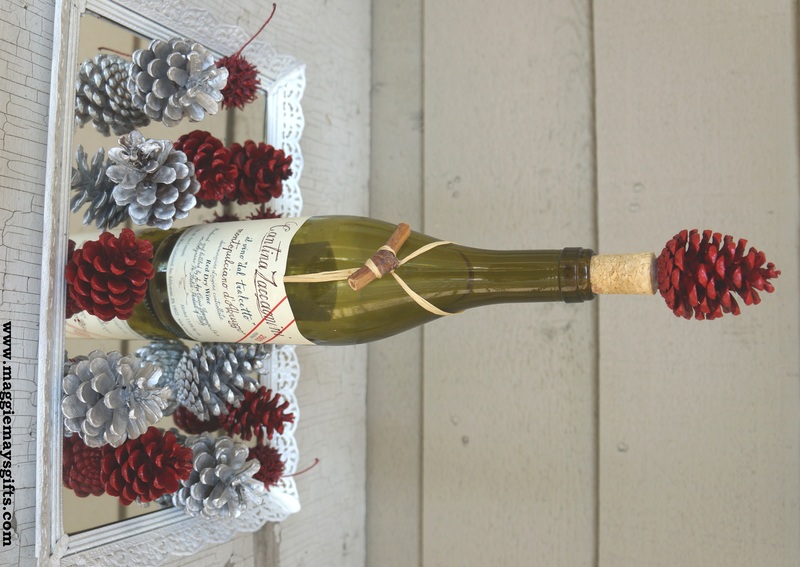 But now is the perfect time for this holiday project because your materials (pine cones) will be free. 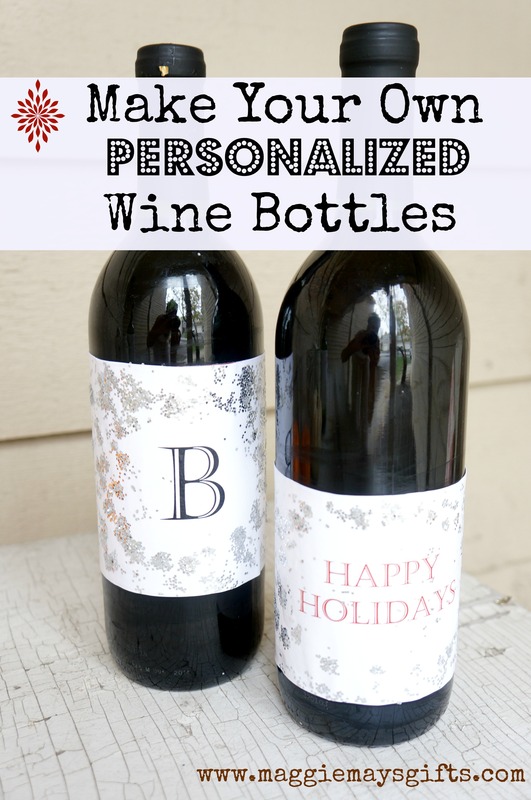 Plus, cleaning and sun-drying them is easier, and having this done will give you one less thing to worry about when the holidays do come around! 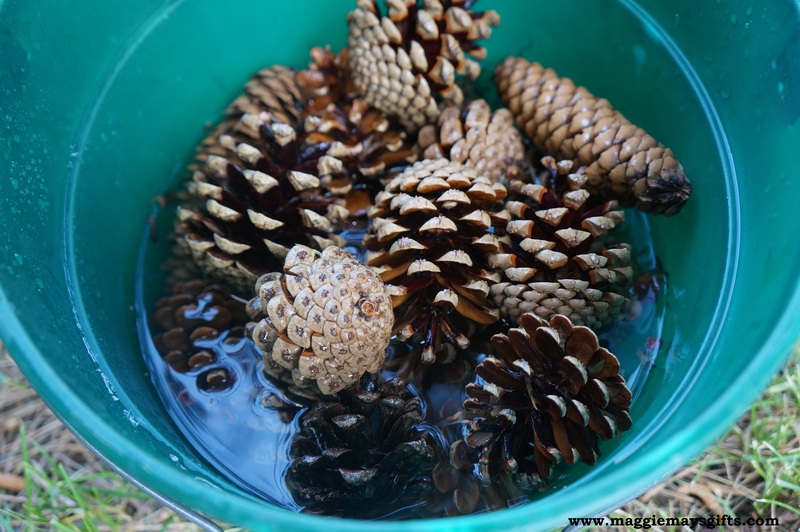 First, collect some pines cones that have fallen to the ground, clean them in a bucket with water and a tiny bit of bleach. 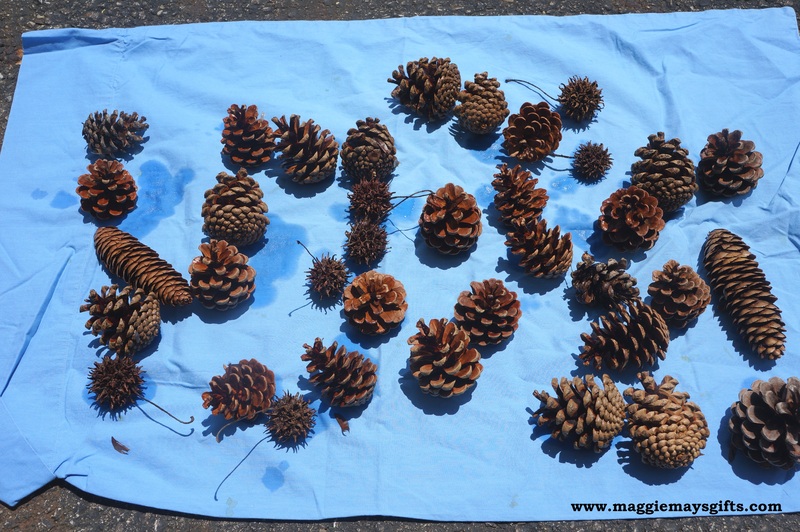 You can also collect the sweetgum balls that have fallen, which are those ping-ping sized balls with spikes on them that fall from trees. Lay them in the sun to dry (all day). You many want to turn them and dry them the next day as well. You want them completely dry. 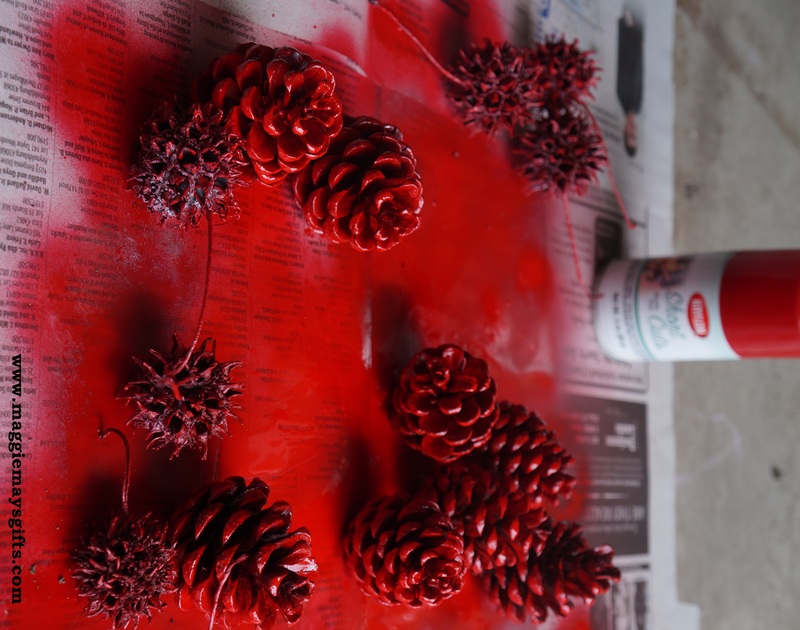 Then spray them with spray paint. 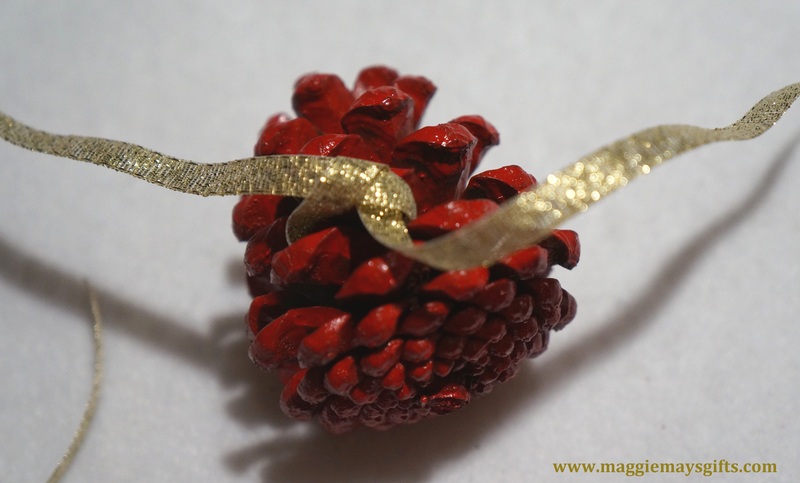 I used red and silver but could you do blue for Hanukah, gold, white or any color you want! 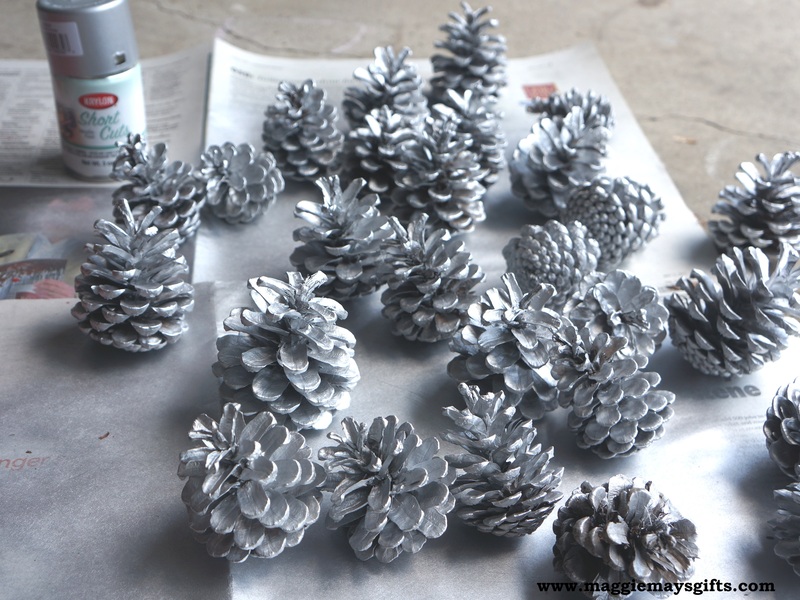 Once these are dry you can put them in holiday bowls or display them on plates or other containers. 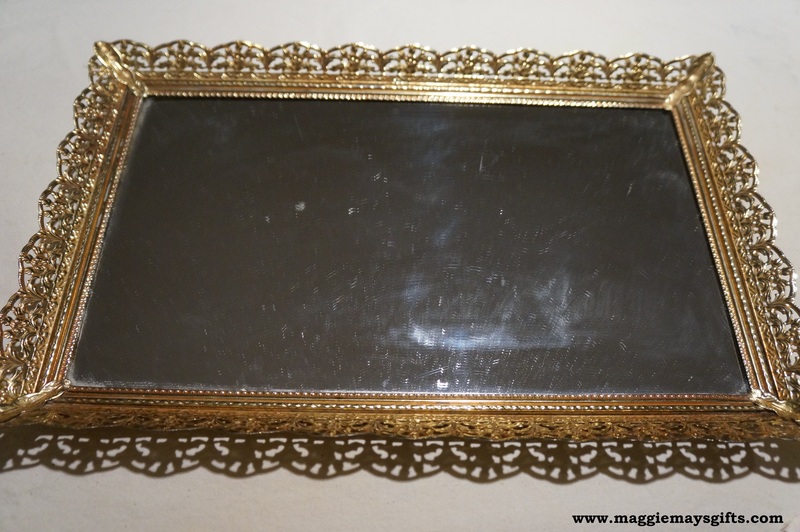 I found this old, gold mirror and just updated it with white paint. 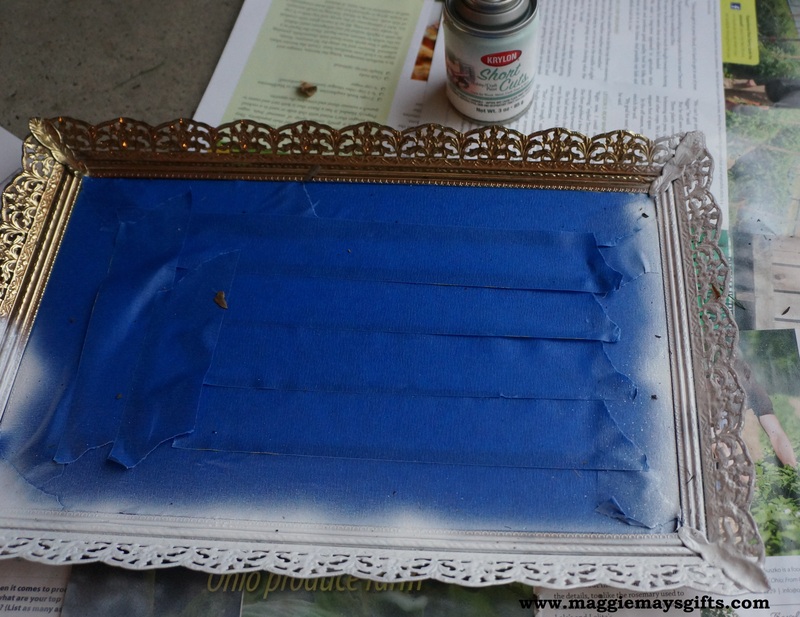 I just used painter’s tape to cover the mirror and used a basic white spray paint. 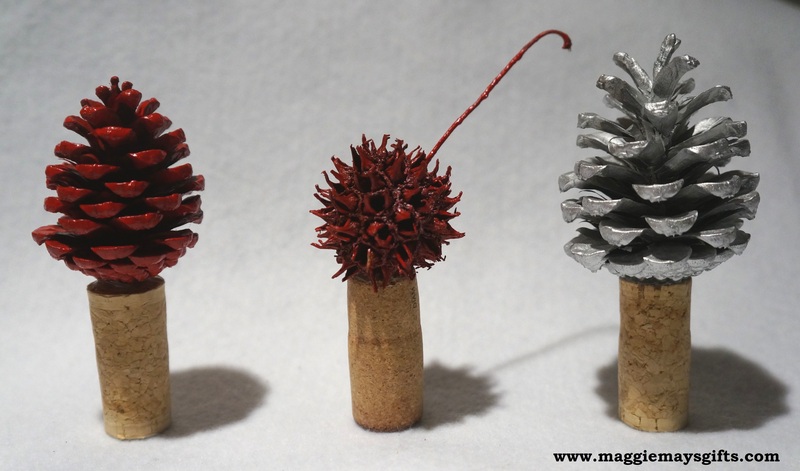 and glued some on wine corks for holiday wine stoppers. 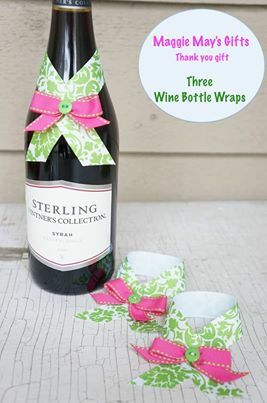 These would be cute for holiday parties and would also make cute gifts. 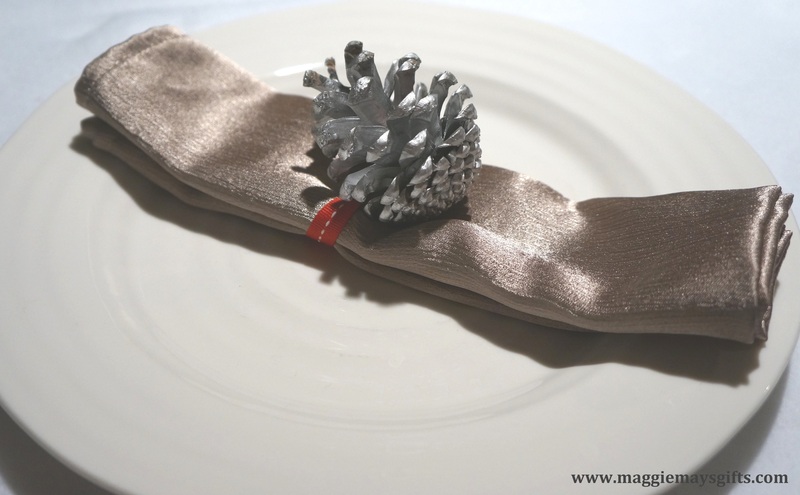 While we are setting our holiday table, let’s make some napkin rings. 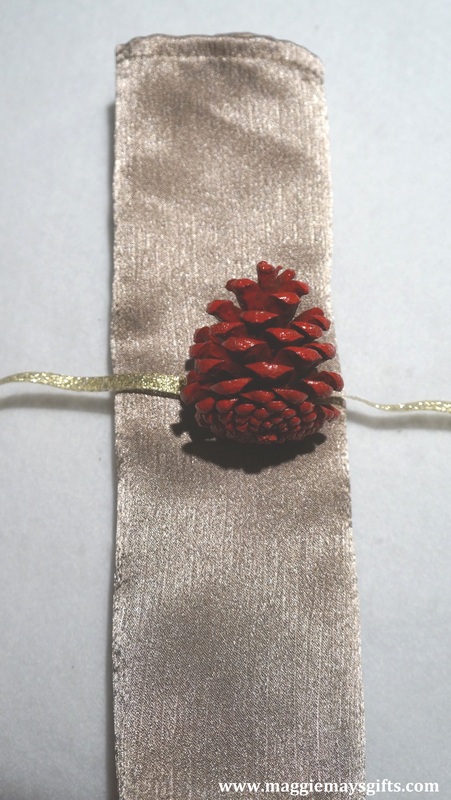 Just tie a ribbon around the pine cone. 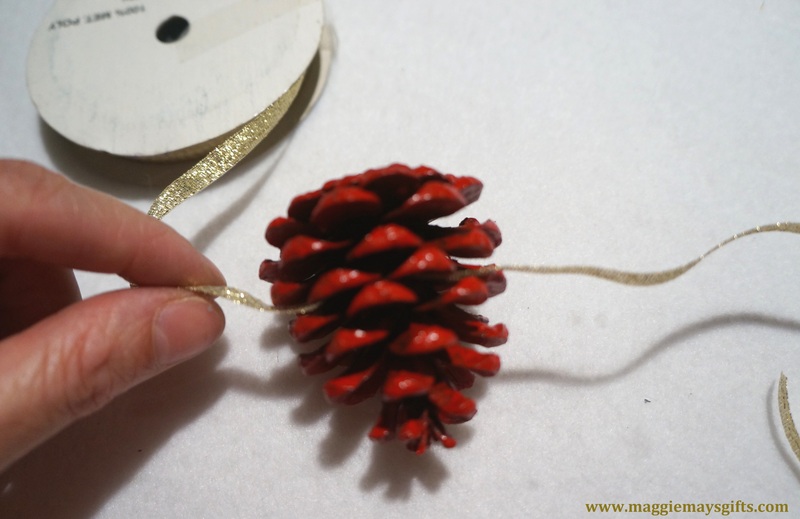 Just pull it through the little tabs in the cone so the ribbon knot is hidden tight inside the cone. 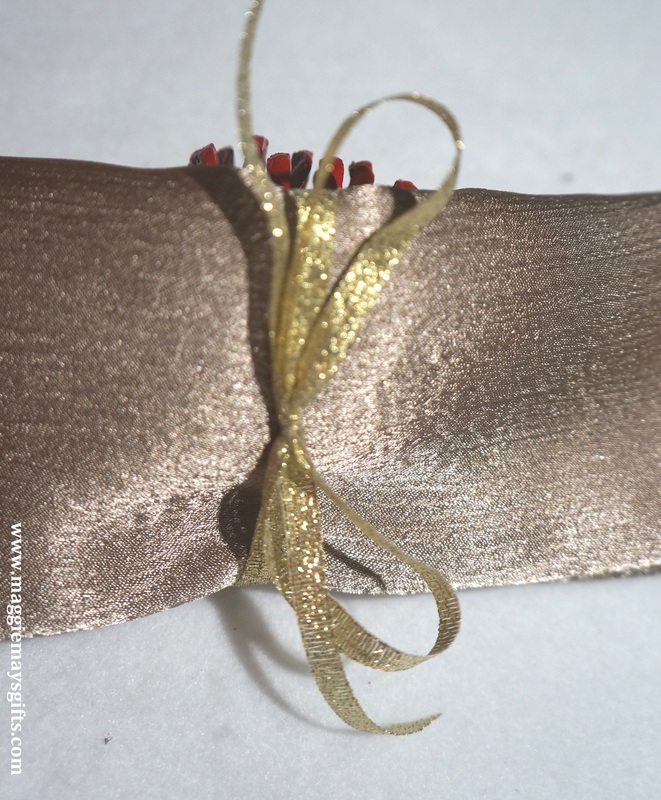 and tie in a bow in the back. Now, go treat yourself to a margarita by the pool. You deserve it. 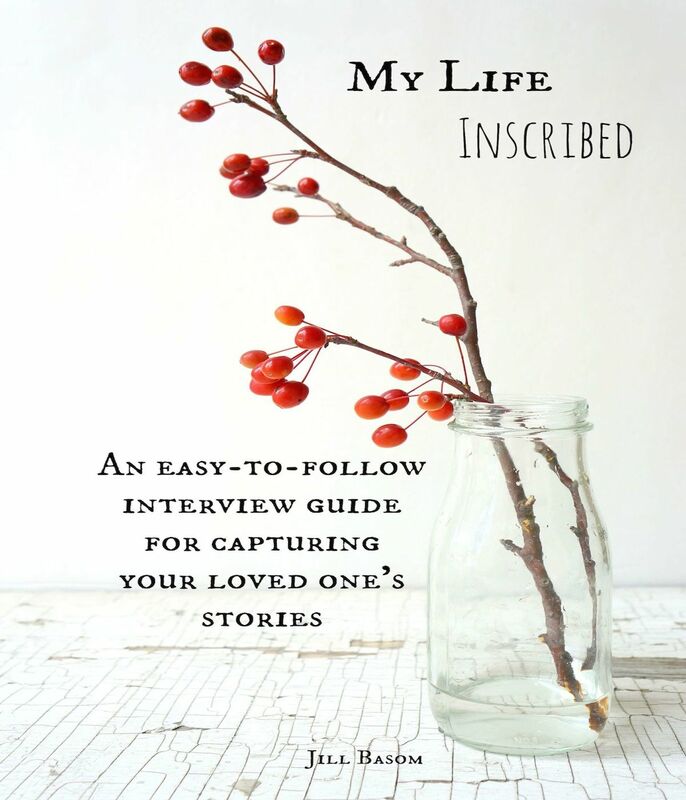 You just saved yourself time and money for this coming Christmas! 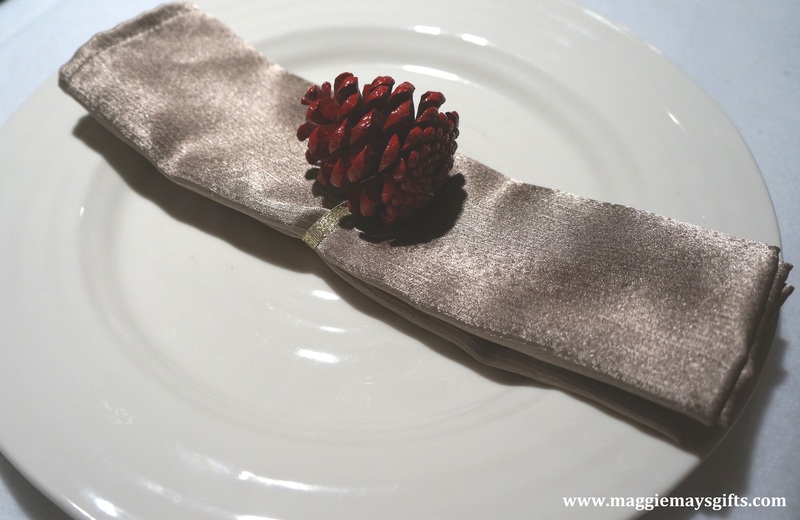 For a new, DIY idea to come to you each week, follow Maggie May’s now!